The following are key updates to the travel restrictions for U.S. citizens traveling to Turkey: •	U.S. citizens with valid work and/or residence cards can still travel in and out of Turkey at this time. •	U.S. citizens with a valid Turkish visa or e-visa should be allowed entry regardless of whether their visa has been activated prior to October 8. •	U.S. citizens with an alternate nationality and passport will be able to apply for a Turkish visa based on the alternate passport. •	It is still unclear whether the Ministry of Labor or Interior Ministry will in any way restrict U.S. citizens from applying for work or residence permits. These restrictions are in place until further notice. Effect on work/residence permit holders. U.S. citizens with valid work and/or residence cards can still travel in and out of Turkey at this time. It is not yet known whether or how they will be affected in the future. Effect on inactivated visa holders. The government has not yet stated whether holders of visas or e-visas issued prior to October 9 must have activated their visa (by way of entry to Turkey) prior to October 8 to be allowed entry into Turkey. Although passport officers are not in agreement on this point, U.S. citizens with a valid Turkish visa or e-visa should be allowed entry regardless of whether their visa has been activated prior to October 8, however, they are advised to enter via Ataturk Airport in Istanbul, and not other ports of entry. Passport officers in Ataturk Airport informally confirmed that U.S. citizens with an alternate nationality and passport will be able to apply for a Turkish visa based on the alternate passport. Work and residence permit holders. It is still unclear whether the Ministry of Labor or Interior Ministry will in any way restrict U.S. citizens from applying for work or residence permits. Supervisors at the Work Permit Directorate have indicated that pending, initial and renewal work permit applications for U.S. citizens are temporarily suspended. Guidance from the Work Permit Directorate is expected by the end of the week. Work permit applications from abroad. U.S. citizens filing initial work permit applications from abroad will not be able to obtain a work visa to enter Turkey and work until the visa restrictions are lifted. The restrictions noted in yesterday's alert still apply as reported. We worked closely with the Bener Law Office in Istanbul to prepare this alert. It is for informational purposes only. 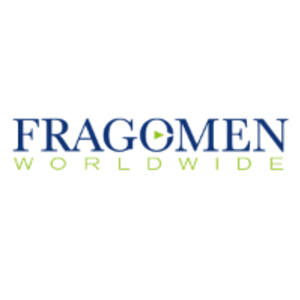 If you have any questions, please contact the immigration professional with whom you work at Fragomen.